Ready for a ship elements section of the other side? 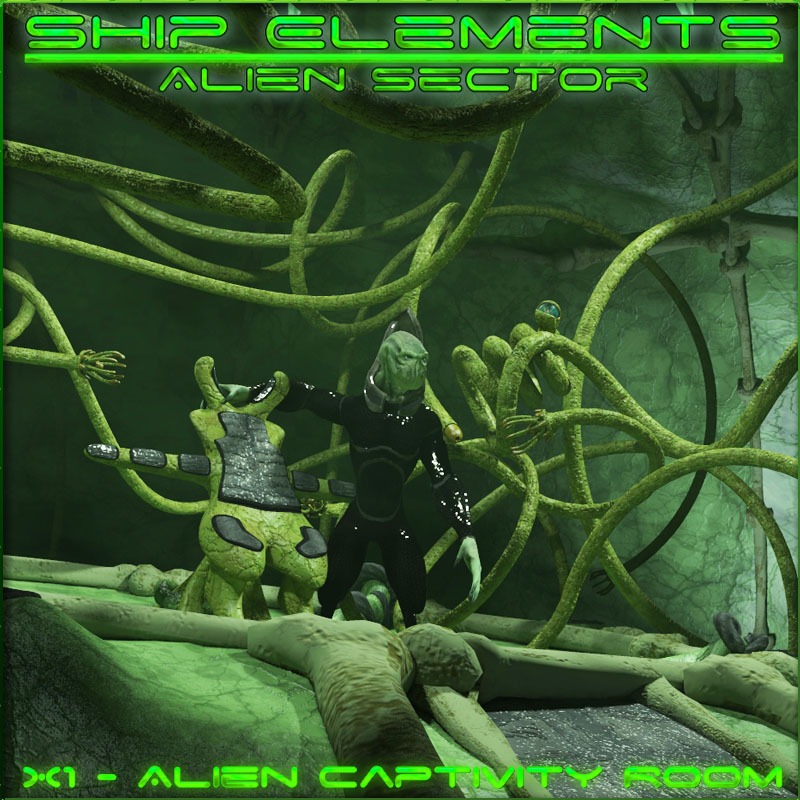 The X1 Set is an Alien Captivity Room with lots of options to be used. Set is build to work as well with our Alien Room Corridor Construction Set! Check out our large freebie Area for Add ons to this item! Remark: Build and tested in Poser. Loads good in D/S. Check Readme for details. Alien Figure not included!